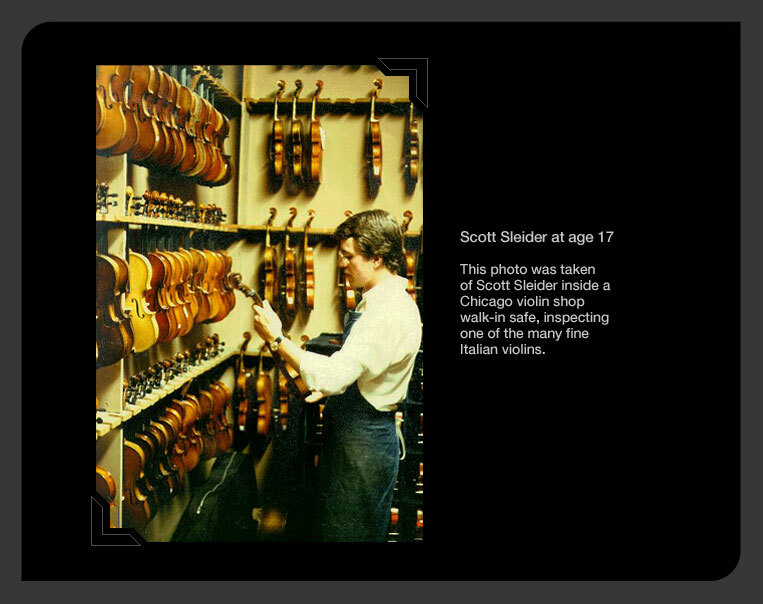 Scott Sleider Fine Violins, Inc. is located in Milwaukee, WI, U.S.A.
• We can also accept your instrument to sell on consignment. As others have, you may enjoy the experience of playing a Scott Sleider instrument by arranging for a demonstration. Get in touch with us and take the first step to a rewarding venture. Many symphony musicians can attest to the superb tone and exceptional appearance of Scott Sleider instruments.